Buses and Trucks Welcome, 100% Smoke Free, Fitness Room, Business Center. offering everything from eggs, waffles and meat to healthy options like yogurt and fresh fruit. Family Suites with 3 Beds, Spa Suites and Pull Out Sofa Suites available. Start your trip to Colton with our free hot breakfast offering everything from eggs, waffles and meat to healthy options like yogurt and fresh fruit. 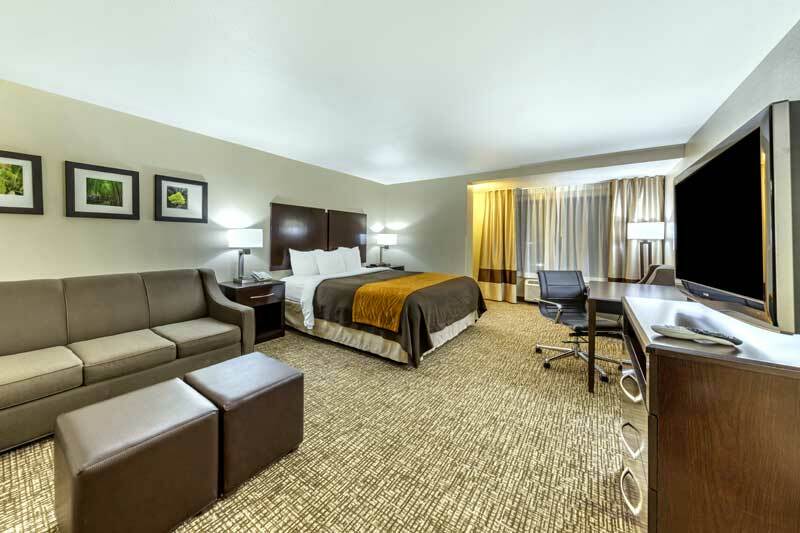 Enjoy your stay with us at the Comfort Inn & Suites® hotel near San Manuel Casino and remember that you can earn rewards, including free nights and gift cards, with our Choice Privileges® Rewards program. Activities : Dirt roads, hiking trails, year-round fishing, snow-covered mountains, spectacular deserts, mountain biking, wildlife viewing and camping in amazing regional and national parks make the County of San Bernardino the hub of outdoor recreation in Southern California. Airport : SAN BERNARDINO INTERNATIONAL AIRPORT 1601 E 3rd St #100, San Bernardino, CA 92408 (909) 382-4100 San Bernardino International Airport (SBIA) is a public airport located less than two miles southeast of the city center of San Bernardino, California, in San Bernardino County, California. Attractions : San Bernardino County offers a variety of live entertainment and attractions including: music festivals, concerts, stand up shows, musicals and sporting events and so much more. Examples of legends that have performed in the County include Van Halen, Elton John, Bob Dylan, Neil Diamond, and the Rolling Stones, to name a few. Casinos : Bringing the excitement of Las Vegas to you! San Manuel Casino 777 San Manuel Blvd, Highland, CA 92346 (909) 864-5050 VOTED BEST BUFFET, STEAKHOUSE AND CASINO Just 60 minutes outside of Los Angeles, enter into the exhilarating world of gaming at San Manuel Casino. Dining : Whatever you're looking for in a restaurant or quick meal, San Bernardino County has it all. With four-star dining to take out, you'll have plenty of options. They are family-friendly and waiting to serve you. Golf : Golfing is a fantastic, non-impact exercise, that is also a sport which allows all the ability to compete no matter the age. It is a sport that is never too late to learn, and it's never too late to improve your skills! Golfing also gives you the ability to socialize and appreciate nature. There are courses throughout the county, here is a list of the bigger ones. Hospitals :ARROWHEAD REGIONAL MEDICAL CENTER 400 N Pepper Ave, Colton, CA 92324 Phone : (909) 580-1000 Website WHAT IT MEANS TO YOU Arrowhead Regional Medical Center recognizes and honors your right to formulate an Advance Health Care Directive (AHCD). An AHCD means either an individual health care instruction or power of attorney for health care. An AHCD lets your physician, family and friends know your health care preferences, including the types of treatment you want or don't want at the end of life; your desire for diagnostic testing; surgical procedures; cardiopulmonary resuscitation; and organ donation. Through advance planning, you can put into writing what types of treatment you would want or not want in case you are unable to speak for yourself. Shopping : Shopping in the desert, experience the fun! !The Desert Region of the County of San Bernardino offers some very unique shopping. You will find small, quaint shops run by the owners offering special gifts and treasures. Not your average shopping experience. Expect to be impressed. University :CALIFORNIA STATE UNIVERSITY, SAN BERNARDINO 5500 University Parkway, San Bernardino CA 92407 (909) 537-5000 California State University, San Bernardino is a preeminent center of intellectual and cultural activity in Inland Southern California. Opened in 1965 and set at the foothills of the beautiful San Bernardino Mountains, the university serves more than 20,000 students each year and graduates about 4,000 students annually. Wineries : The region boasts a variety of vineyards, from larger wineries that feature guided tours and full gift shops to small family-run places, where visitors can elbow up to the oak bar to taste a fume blanc and petite sirah, and get a "tour" by simply turning around and glancing at huge tanks, vats and machinery just behind them. Downtown : Downtown San Bernardino is a district in the city of San Bernardino, California , in San Bernardino County. It is home to city and county government buildings, and to the city's central business district. The downtown area of San Bernardino is home to multiple (and the only) diplomatic missions for the Inland Empire, being one of only four California cities with multiple consulates (the other cities being Los Angeles, San Diego and San Francisco). The governments of Guatemala (opened July 2014) and Mexico have established their consulates in the civic center. Downtown San Bernardino is bounded by I-215 to the west, Waterman Avenue to the east, Baseline Street to the north, and Mill Street to the south. Welcome to our great hotel in Colton California with affordable rates and cheap budget discount lodging. 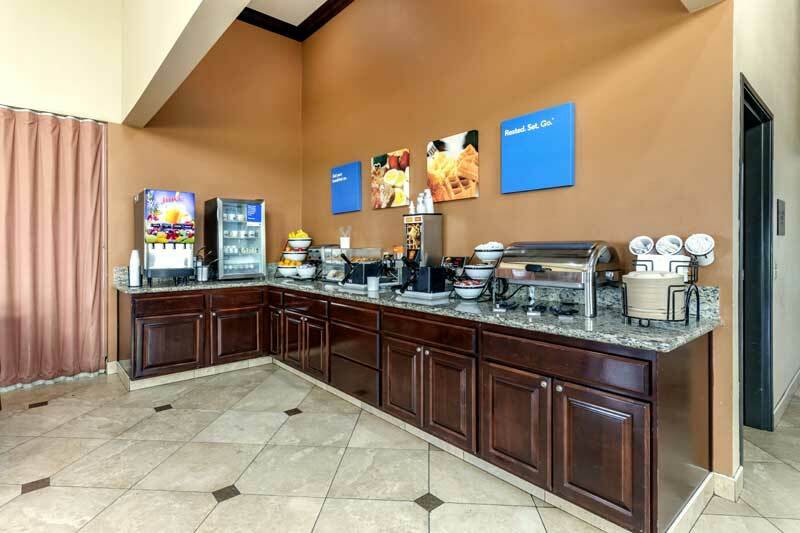 Comfort Inn & Suites San Bernardino welcomes you to our budget hotel in Colton California. 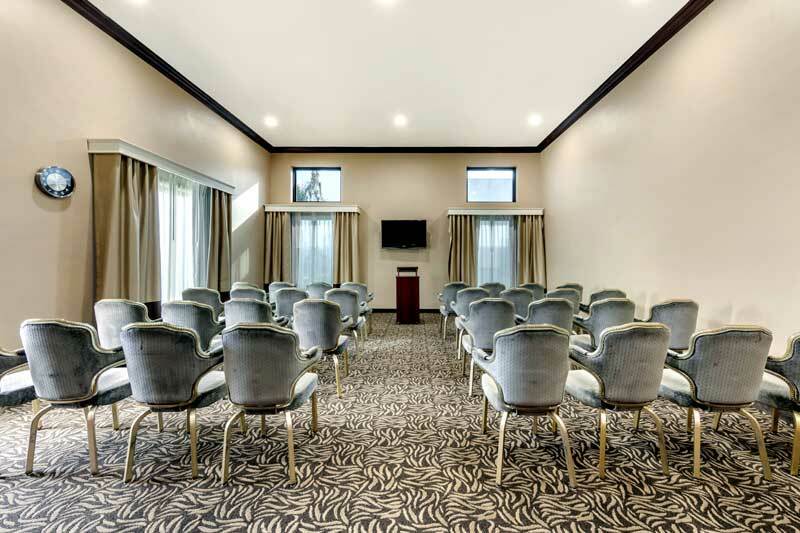 Comfort Inn & Suites San Bernardino will provide you excellent customer service with great amenities in comparison to all Hotels and Motels in Colton California. Please visit us on your next stay in Colton California and let us provide you with 4 star hospitality for 2 to 3 star budget rates. 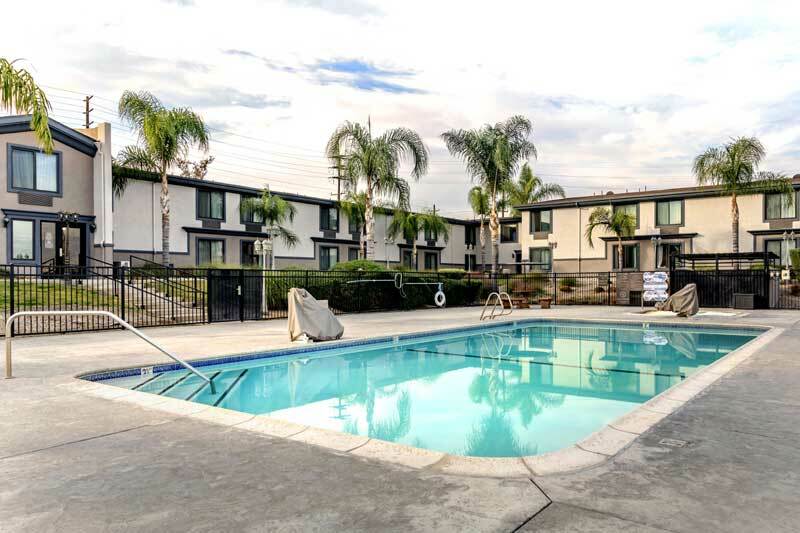 Comfort Inn & Suites San Bernardino has been providing lodging and accommodations in Colton California for several years and looks forward to providing our valued customer and business traveler with the best service in Colton California for Hotels and Motels in our local area. Things to do Colton Ca. © 2018 Comfort Inn & Suites San Bernardino. All rights reserved.